Ralph Theodore Branca is a New York guy. He was born in Mt. Vernon as the 15th of 17 children, and his middle name was a celebration of the first President Roosevelt, who also hailed from the Empire State. He attended New York University, was signed by the Dodgers after a local tryout camp, and aside from a year with the Detroit Tigers, spent his entire career with the three New York organizations. Branca married a New York girl from a prominent family, Ann Mulvey, whose parents James and Dearie Mulvey owned a stake in the Dodgers, and whose maternal grandfather, Steve McKeever, had been president of the Brooklyn club. After his playing career he was offered an opportunity to stay in baseball, as a pitching coach for the Los Angeles Angels of the Pacific Coast League, “but I just didn’t want to go to California,” he said in a 2009 interview. 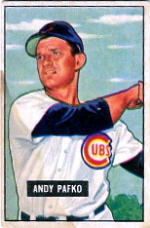 He later combined his baseball prominence, his financial acumen and his desire to help others when he ran (and helped found) the Manhattan-based Baseball Assistance Team (BAT), an organization formed to help ex-big leaguers facing difficult financial circumstances in their post-baseball lives. Started in 1986, BAT depends on corporate sponsorships and contributions from major leaguers. “One player gave us $10,000 and we got lots of $5,000 checks,” Branca said. “David Cone runs a softball tournament to benefit BAT. Joe Girardi has helped. The players know about us and what we do. We send out newsletters, we visit spring training clubhouses.” Branca was at the top of the masthead until 2003. BAT is now run by former Red Sox pitcher Don Schwall. As a Brooklyn Dodger, Ralph Branca was involved with two of the biggest moments in New York history, which were also prominent moments in the fabric of American culture. One was the integration of baseball by Jackie Robinson in 1947. 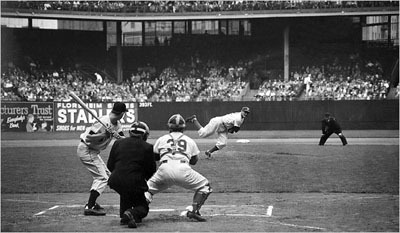 The other was as the man who gave up "the shot heard round the world," the pitch-hit home run by Bobby Thomson, which won the 1951 National League pennant for the New York Giants. It is the Thomson homer, in conjunction with the sign-stealing story made famous by Wall Street Journal reporter Joshua Praeger, that dominates the mostly-retired Branca’s thoughts, as he looks back on his life. In January of 2001, Praeger broke the story detailing a sign-stealing scheme the Giants rigged in the Polo Grounds, their home ballpark. The plan called for a telescope to be stationed behind windows in the center field clubhouse, a buzzer rigged below ground in the bullpen, and a reserve catcher positioning his body and equipment while seated in the bullpen to tip off the batter as to which pitch was coming and when. 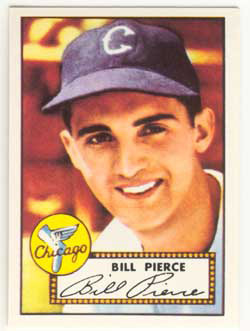 Praeger’s story backed up what Branca had been told by his Tigers roommate, Ted Gray in 1953. Gray was friends with 1951 Giants reserve outfielder Earl Rapp, who told him about the Giants' shenanigans. Branca says Thomson knew what was coming on October 3, 1951, and while he still had to hit it, the information was certainly useful. Branca kept what he knew and his feelings about it essentially to himself until Praeger’s story broke. He had appeared with Thomson on television, at autograph shows and generally played the role of good sport for half a century. The two ex-players thrown together by fate became close friends, a friendship which Branca says is now strained. “It [the sign-stealing revelations and the reactions to those revelations] has affected my relationship with Bob. We’re not as close. We haven’t done a card show in two years, and we don’t talk as often,” Branca said. Branca says he is especially disappointed in Giants captain Alvin Dark and former teammate Eddie Stanky. An observant Catholic, Branca says he takes umbrage because Dark and Stanky claimed to be very religious. Most of his vitriol, though, is aimed at Giants owner Horace Stoneham, manager Leo Durocher, and coach Herman Franks, the man in the clubhouse with the telescope. “They were the generals,” Branca said. Now professionally retired, Branca has lived in the same country club community in Rye, New York since the mid-1960s. He has sung publicly and has earned praise for his strong baritone. He is also a devoted poet, and holds the record for 17 consecutive wins on the television game show Concentration. Branca has been personally and financially successful, and is one of the most famous baseball players of his era, even if he believes his pitching potential was largely unrealized. He was through as a ballplayer by the time he turned 30, but in his decade in the big leagues, Branca bore witness and directly participated in two of the most famous events of the 20th Century. Paul Hirsch is a freelance writer and public relations/marketing practitioner based in Danville, California. You can find out more about Paul at www.nowville.com/paulhirsch.